I really love teaching. That´s why I´m here. Listening comprehension activity. This is an amazing Jason Mraz´s song, which it´s about how people feel once they´re far from home. Some of the activities in the WS can be done before the actual listening. Have fun ! 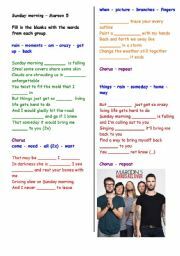 Students are supposed to fill in the blanks while they listen to the song. There´s also a post-listening activity. I hope you like it ! This is a very nice song to work with students. 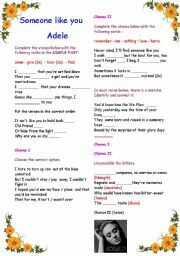 In this worksheet, I prepared activities based on listening comprehension skills. However, the third and the fourth activities may be done before the actual listening, based on learners´ predictions. I hope you have fun. Cheers ! There are multiple activities in this worksheet, in order to check on vocabulary and listening comprehension. Key and b+w copy included. Enjoy ! In this activity, students are supposed to fill in the blanks with the correct verb tense and adjectives, as well as "correct the hip hop segment" of the song. B&W copy and answer key/original lyrics included. Enjoy ! 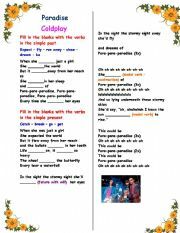 Students will listen to the song while they do the tasks. Since teenagers usually like Katy Perry, this may be a fun activity for them. I hope you enjoy it. Key included. Cheers ! 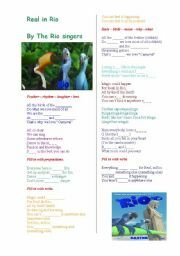 Since the movie "Rio" has been expected with great antecipation, I prepared this activity for my students. They really enjoyed doing it. It was based on the following youtube video : http://www.youtube.com/watch?v=bWypLMLeT14 However, the lyrics that appear on it are wrong, so don´t show the video before you do the activity with them. 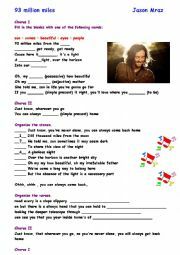 In this activity, students are supposed to do several tasks while thay listen to Kate Perry´s song. I hope you enjoy it ! 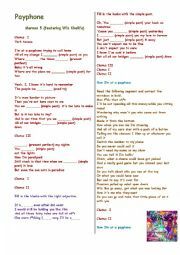 A good activity for reviewing basic verb tenses (simple present, simple past, some modals), by using a very nice Coldplay´s song, from their latest album Mylo Xyloto. Answer key included. I hope you have fun ! 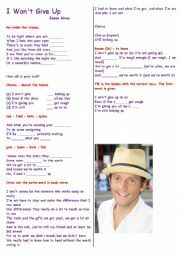 An activity for basic students, in which they´re supposed to fill in the blanks while listening to the song. Answer key included. I hope you enjoy it. Students are supposed to practice can/can´t by talking about superheroes´ abilities. I hope you like the ppt. Cheers ! Students are supposed to use the cues in order to say the right sentence. I hope it will be useful !